The outlines for this book have been chosen from some of the most respected preachers in history. These outlines for funerals and other special services are designed to spark an idea, provide an initial structure, and/or furnish a fitting illustration. 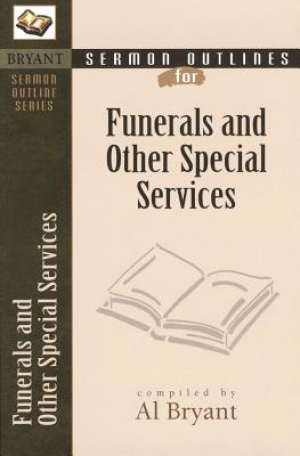 Sermon Outlines on Funerals and Other Special Services by Al Bryant was published by Kregel Publications in January 2000 and is our 32242nd best seller. 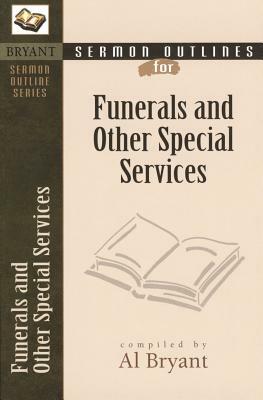 The ISBN for Sermon Outlines on Funerals and Other Special Services is 9780825420566. Be the first to review Sermon Outlines on Funerals and Other Special Services! Got a question? No problem! Just click here to ask us about Sermon Outlines on Funerals and Other Special Services.